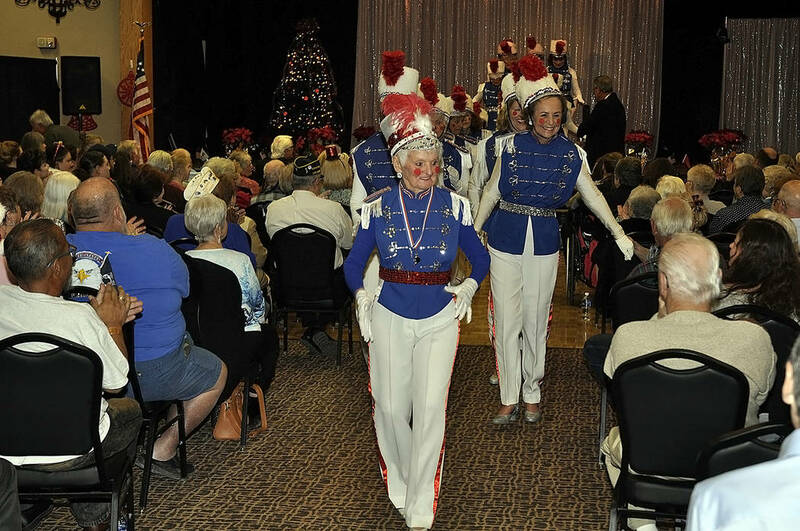 Christmas entertainment is on its way to Pahrump and residents will have the chance to immerse themselves in all the sparkle and joy of the season with lively performances this Saturday when the Nevada Silver Tappers will host their 28th Annual Christmas Benefit Show. Horace Langford Jr./Pahrump Valley Times The "Wooden Soldiers" routine always capps off the Nevada Silver Tappers annual Christmas Benefit Show. Last year the show brought in more than $4,000 for local veteran organizations in the community. This year local food program are set to benefit. 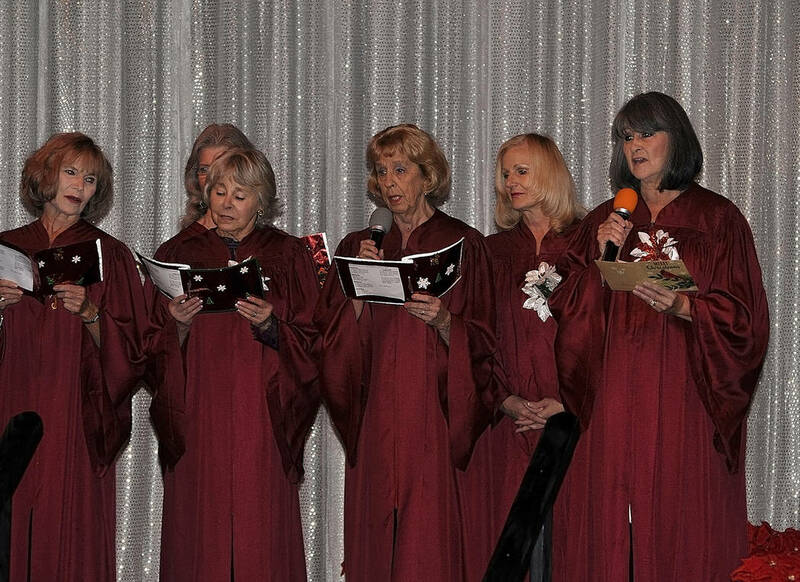 Horace Langford Jr./Pahrump Valley Times A special Christmas Medley, courtesy of the Ms. Senior Golden Years Queen’s Court Choir, was on the bill during the Nevada Silver Tappers 27th Annual Christmas Benefit Show. The 28th annual event is set for Saturday. The Nevada Silver Tappers was founded by Pahrump resident and well-known figure B.J. Hetrick-Irwin. Though she may be in her 90s, Hetrick-Irwin is one energetic woman and she is continuously encouraging other ladies to keep themselves active and involved in their community. Those who have reached the elegant age of 55 or better are invited to join the dance troupe, giving them the opportunity to form new and lasting friendships while having a blast and helping boost local charitable efforts at the same time. The annual Christmas Benefit Show is just one of the many appearances the Silver Tappers make every year but it is absolutely one of the most popular, a stand-out show regularly drawing a sold-out crowd of hundreds. At its heart, this is truly a fundraising endeavor. Every year the event brings in thousands of dollars that are then distributed to various causes within the Pahrump community. 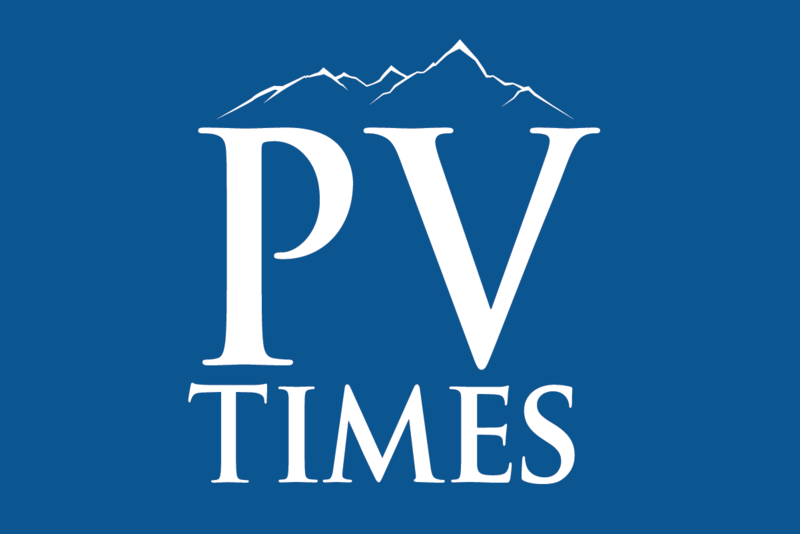 This year, the focus is on nutrition and the Pahrump Senior Center’s Meals on Wheels Program as well as the Veterans of Foreign Wars Post #10054 Veterans Food Pantry have been selected as organizations to receive the funds. For the $15 price of admission, attendees will be treated to an afternoon of amusement and diversion while knowing they are contributing to valuable local programs. It’s not just the Tappers themselves who will bring the holiday spirit to life on Saturday, either, as a wide variety of acts, both young and old, will grace the stage that evening. Hetrick-Irwin noted that she was particularly excited by the increased participation of the younger generation this year, with youth entertainers a sight she says always makes her heart glow. “We are very happy to announce that we are bringing in new acts this year, including children from Donna’s Dance Studio and the Nevada Dance Theater. That is exciting and we are also going to have Lisa Chamlee, our newly-elected Pahrump justice of the peace, joining us; she is going to be singing,” Hetrick-Irwin said with enthusiasm, remarking that the new acts coming alongside the many traditional favorites were sure to result in a fun time for all. The 28th Annual Christmas Benefit Show is set to kick off at 3 p.m. on Saturday, Dec. 8 inside the Saddle West Hotel and Casino showroom. Hetrick-Irwin noted that some tickets may still be available at the door but she encouraged those wanting to attend to reserve theirs immediately so as to not miss out. Tickets are $15 per person and can be reserved by calling 775-727-7011.